Wanda Sundermann ICCE, NCMBT, ICD International Childbirth Educator Association (ICEA) trained childbirth educator, NC licensed massage and bodywork therapist and certified professional doula, has practiced in the community for the last 25 years. Wanda brings a knowledge base to her childbirth education classes that addresses the physical, emotional and logistical needs of birthing couples. Wanda is familiar with the practices and protocols of most of the local birthing facilities. 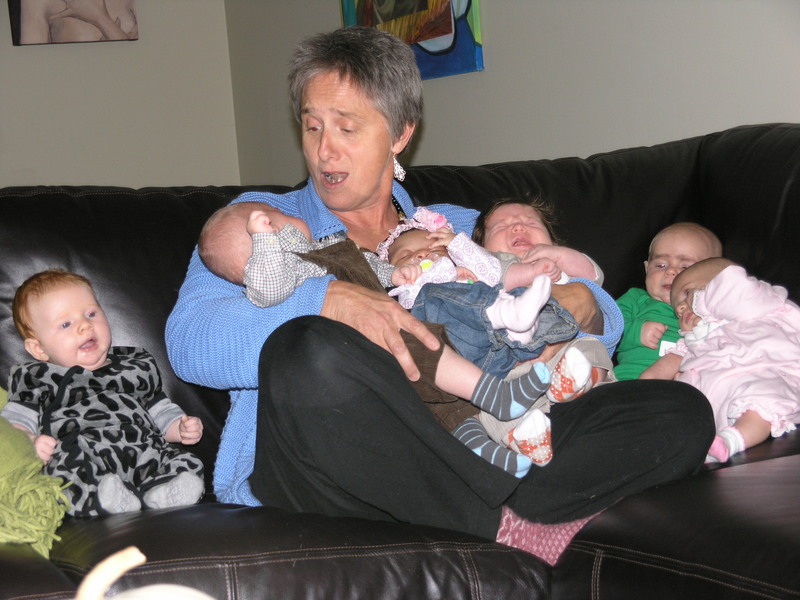 In her experience working with over 600 couples as a doula and birth assistant she has seen the wide range of possible birth scenarios. In recognizing that every couple comes to their birth with different needs and expectations Wanda is aware that we all have a different experience on the day our child is born. Her goal is to empower couples to discover the options they feel most comfortable with, give them the tools they need to follow through on their plans, and adjust if things go in a different direction. The class covers normal birth, coping techniques, common complications of the birth process, natural and medical ways of dealing with those complications, relaxation for birth, newborns and their care, breastfeeding, infant massage and other related subjects. The classes are held on Saturdays or Sundays, morning or afternoon, depending on the availability of the classroom at the Women’s Birth and Wellness Center in Chapel Hill. Please see the schedule for specific dates and times. Fall of 2015 class reunion. This is a four class series. Each class is Saturday from 9:00 am to 1:00pm (unless otherwise noted). If there is a weekend that does not work for you it is possible to make that class up in another series. Let me know if that applies to you. REFRESHER CLASSES are available upon request. Please email wandasund@gmail.com to set one up. The fee starts at $115 for a three hour class. That fee is reduced to $75 for groups of two or more families. During the class there will be breaks for a snack and time to stretch. Each couple will be asked to contribute snacks one of the classes. The cost for the class for a pregnant woman and her support person is $225. If you would like to register for the class please print and fill out the Registration Form and mail it to the address listed on the form along with the full payment of $225. Checks will be deposited in the bank after the first class. Please send an e-mail to Wanda Sunderman when you have sent your registration. A confirmation email will be sent when the registration arrives. Penny Simkins book, The Birth Partner is recommended to supplement the class.